I love almost everything about South Carolina. Except for Frogmore Stew. There. I’ve said it. Overcooked shrimp, sausage from who knows where, undercooked red potatoes, and way too much Old Bay. That pretty much describes 90% of the Frogmore Stew I’ve ever had. And yet I’ve eaten a lot of Frogmore Stew and loved every bite. Because you don’t make this for four people, you make it for 40. And all of that overcooked shrimp I’ve had has been in the company of great friends. Maybe it was at a wedding reception, perhaps at a graduation party, or maybe a big 4th of July celebration. It’s contextual. Food is the central part of a celebration, even if we humans are just celebrating friendship. Which brings me to the Bahamas and their conch salad. This is a simple dish of diced onions and tomato, fresh lime, a little chopped parsley, and sometimes diced peppers. Often times those peppers are those spicy little fireplugs, Scotch Bonnets. And of course the last ingredient is that giant saltwater snail, Conch. It’s pulled from its shell then diced and sliced into bite sized bits and pieces. Now before your salivary glands hit overdrive, there’s something I need to point out. Without the lime and saltwater, there’s very little flavor in conch salad. There’s little agriculture in the Bahamas so those limes, tomatoes, and onions are usually the same ones you’d find in a Wal Mart in Little Rock. Perhaps the limes were grown in one of the Bahamas outer islands, perhaps not. Most likely everything but the conch has been imported. However, when you put conch salad into context, things change dramatically. This is one of those dishes that’s greater than the sum of its ingredients. 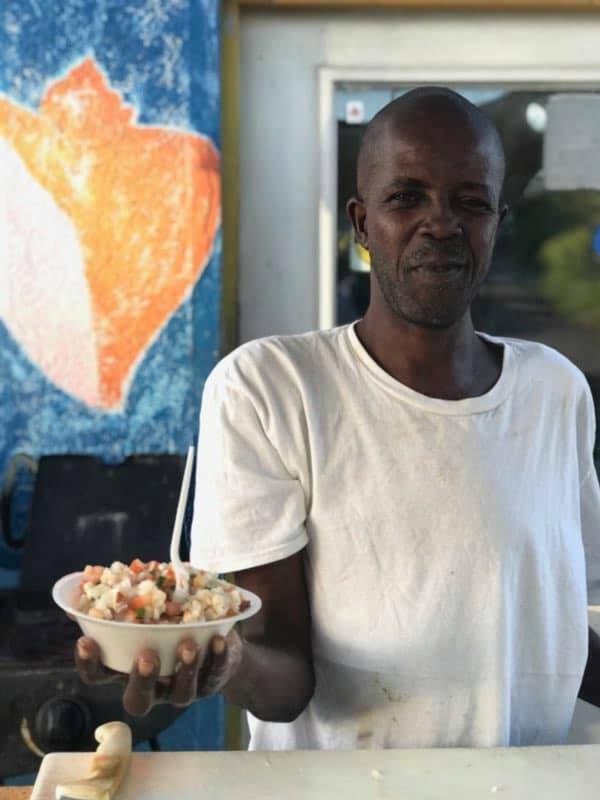 You see, proper Bahamian conch salad must be enjoyed at the edge of the Caribbean. And on most days that’s an achingly beautiful sight. The sea, an impossible shade of blue, can stretch to the edge of the horizon in such a way that both blue canvases melt into one another. 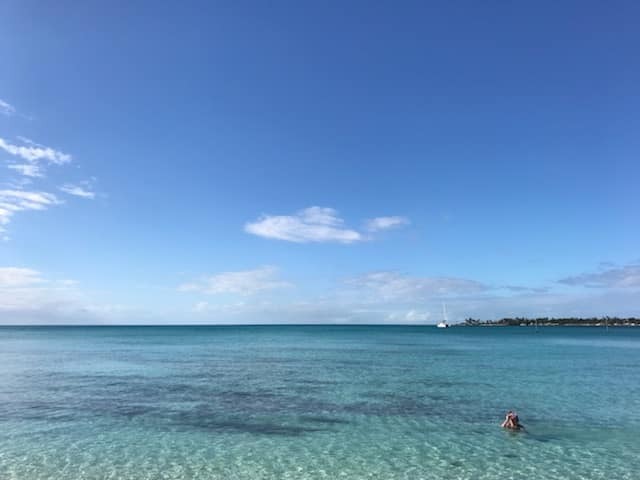 The Caribbean of the Bahamas is shallow and when combined with an endless supply of sunshine creates such a memorable experience everyone from simple cooks to ultra wealthy celebrities covet. 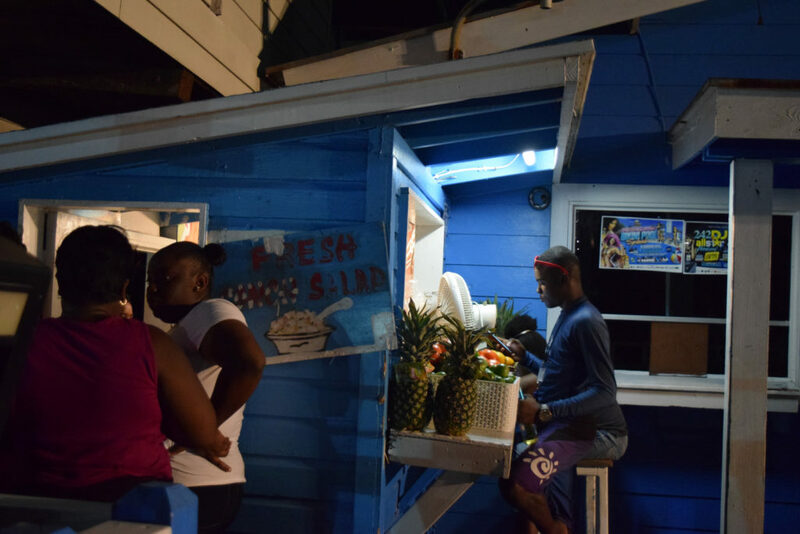 Spend a few days there chasing conch salad and you’ll be convinced it’s one of the most wonderful seaside charms on the planet. Because it is. Sadly though, the conch won’t last much longer. It’s a familiar tale of overfishing that anyone from south Florida, or south Louisiana can understand. In the early days of Paul Prudhomme’s meteoric rise to chef stardom, he so popularized the austere dish of Blackened Redfish to the point that Louisiana redfish almost disappeared. Saved by a coalition of concerned outdoorsmen that rang the warning bell, Redfish is now once again back on menus. The challenge of saving the conch is that it’s basically a large snail and it moves at a literal snail’s pace. And that makes it an easy catch. 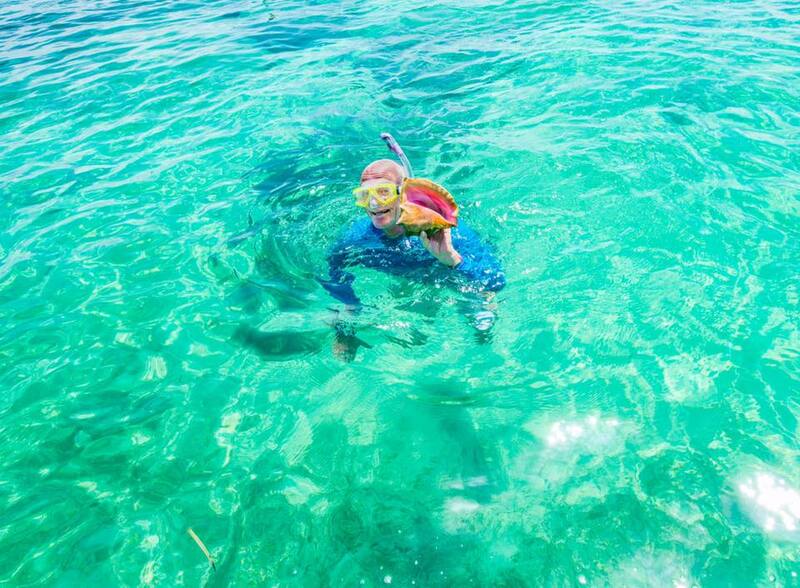 Yes there are limits to the sizes that should be harvested but in the Bahamas there’s very little enforcement. 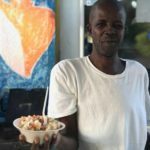 And conch salad isn’t a staple of tourism. 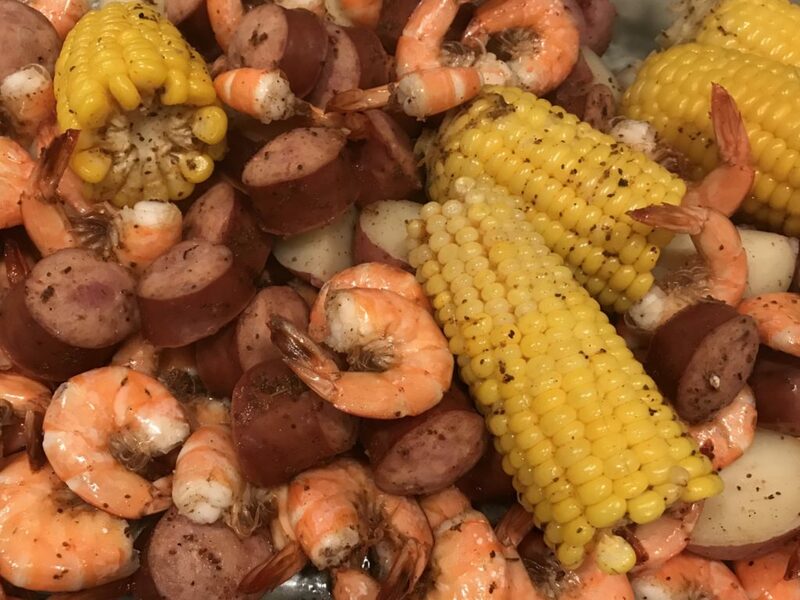 Bahamians across the islands eat it, indeed it’s part of their cultural identity and no less important at a celebration than our Frogmore stew. Yes, the sum of tomatoes, limes, onions, pepper, and fresh conch is much greater than its parts. And that’s why the conch will disappear from the Bahamas; everyone wants it, and no one seems to be able to do anything about it. In south Louisiana we were successfully able to ask the question “What if the redfish disappear?” And a majority of the residents didn’t like the answer so they went along with the moratoriums and limits. The question was a call to arms and many of us answered the call. Sadly the answer appears to be a shrug of the shoulders.